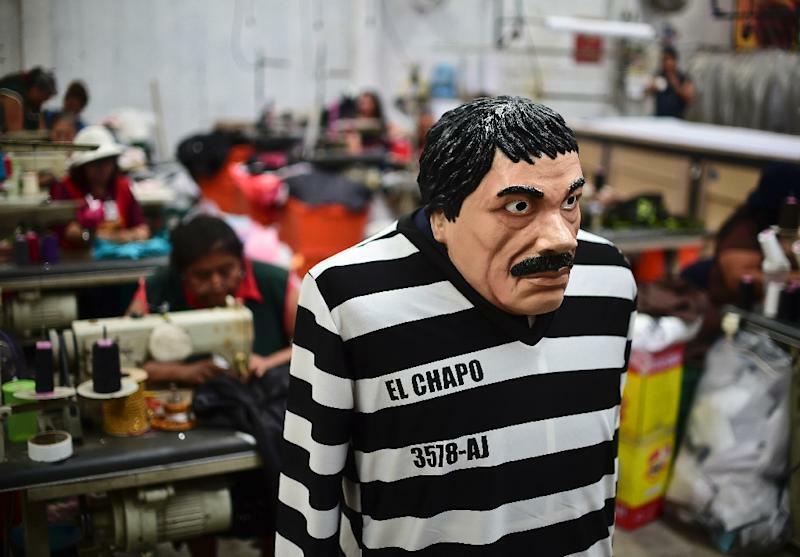 Mexico City (AFP) - Mexican authorities turned up the heat on drug baron Joaquin "El Chapo" Guzman, who injured himself while falling as he eluded special forces in rough mountain terrain, officials said Saturday. President Enrique Pena Nieto's administration has scrambled to hunt down the infamous fugitive since his brazen prison tunnel escape in July, which humiliated the government. Troops apparently got close to the Sinaloa drug cartel boss in recent days, with the government revealing late Friday that Guzman injured a leg and his face while evading an operation in northwestern Mexico "in a hurry." The wounds were not the result of a clash, the government said in a statement, without specifying the extent of the injuries or how authorities knew he was hurt. It did not say when or where exactly the operation took place. A federal government official familiar with the operation told AFP that Guzman hurt himself in "one or several falls" as he escaped in the Sierra Madre mountains. "It is believed that he fell due to the rough terrain. It's a pretty rugged area," the official said on condition of anonymity. "Knowing that he could be caught, he went into the mountain." A second federal official told AFP that the raid took place last week in a region straddling the states of Sinaloa and Durango, a bastion of the Sinaloa cartel known as the Golden Triangle. Marines, backed with helicopters, have been conducting operations in the area for weeks, the officials said. "He's being surrounded," the second official said. US Drug Enforcement Administration officials have told AFP that Guzman, 58, likely fled to the Golden Triangle region after escaping from prison in central Mexico because he enjoys the support of the local population in the northwest. American authorities have been working with Mexican security forces in the hope of extraditing the powerful kingpin to the United States. US network NBC News reported that Mexican marines closed in on Guzman last week after US drug agents intercepted cellphone signals suggesting he was hiding at a ranch. Citing three sources with knowledge of the operation, NBC said Mexican marines raided the ranch in helicopters, but turned back after taking fire from Guzman's gunmen. The marines later went in on foot and found cellphones, medication and two-way radios. Guzman and his henchmen are believed to have fled in all-terrain vehicles, the network said. But a week after the raid, officials are "losing hope" that the infamous drug lord will be caught imminently, it reported. The governor of Sinaloa said Wednesday that special forces had conducted raids in Tamazula, Durango, which is in the same mountain region. One of the federal officials denied that marines had fired from helicopters on homes in civilian populated areas. Guzman fled the Altiplano maximum-security prison near Mexico City on July 11, just 17 months after US-backed marines captured him in the Sinaloa Pacific resort of Mazatlan following a 13-year manhunt. He escaped a hole in his cell shower that led to a 1.5-kilometer (one mile) tunnel with a redesigned motorcycle on special tracks, emerging in a house outside the prison. 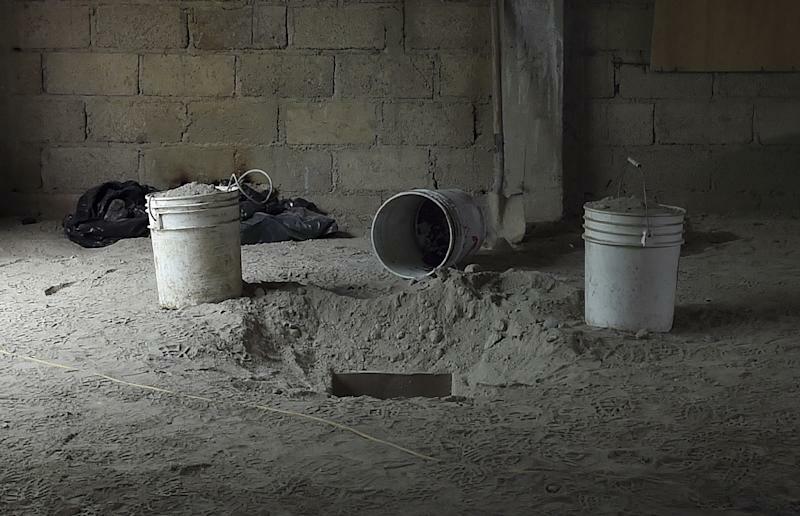 A new video of his escape was leaked to the Televisa channel this week, showing that loud hammering could be heard in his cell moments before he descended down the hole. It took guards nearly 40 minutes to go inside his cell after he escaped. More than a dozen prison officials have been detained over charges they helped him flee. 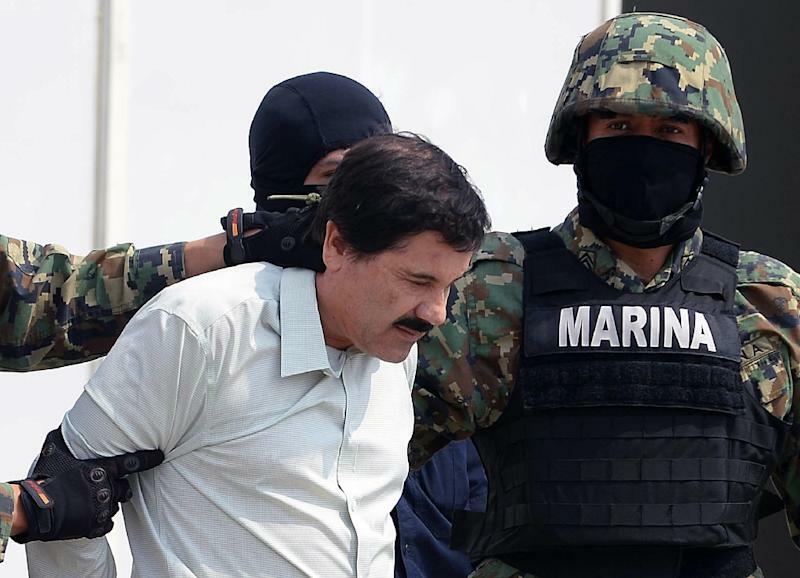 Pena Nieto had refused to hand Guzman over to the United States, but authorities have now secured an arrest warrant to extradite him if he is captured again. Guzman was first arrested in 1993 in Guatemala, but he escaped from a prison in western Mexico in 2001 by hiding in a laundry cart.